Yes! The Renault Duster comes now with huge price cut ranging from over Rs. 50,000 to more than a lakh rupees across the variants in India. The French automaker, Renault SA announced the price cut for its compact SUV Duster with immediate effect yesterday citing the high level of localization. The prices of Renault Duster now start from Rs. 7.95 lakh (ex-showroom Delhi) and goes to Rs. 9.95 lakh (ex-showroom Delhi) for the top end model in petrol variant. Before the price cut this range was Rs. 8.5 lakh to Rs. 10.24 lakh. For the diesel variants, the price range after the price cut is now Rs. 8.95 lakh to Rs. 12.79 lakh for the starting model and top end model respectively. Earlier this range was Rs. 9.45 lakh to Rs. 13.79 lakh. This makes the top end model of Renault Duster cheaper by Rs. 1.0 lakh now. It also makes the Duster cheaper by Rs. 1.35 lakh than its rival, the Hyundai Creta compact SUV in the segment. The CEO of the Renault India, Sumit Sawhney said the following about the latest price; “Renault had one of the highest localization done on KWID with 98% at the time of launch.” He further added, “We are happy to pass on the benefits to the new Duster customers making it more attractive across the range enabled by our aggressive localization strategy on Duster as well.” The price reduction is expected to help the company to boost its sales in the market. As seen above the Renault Duster comes in both the petrol and diesel engine options. The petrol engine option comes with an engine of 1.6 litre which delivers 104 Bhp power and 140 Nm torque. The petrol engine is paired with 5-speed manual gearbox as standard and optional CVT automatic transmission. The petrol engine Duster is a front wheel driven vehicle. The diesel variant of the SUV comes with 1.5 litre K9K turbocharged engine which delivers 89 Bhp-200 Nm and 108 Bhp-240 Nm output. The diesel engine is mated with 5-speed manual transmission at lower state tune and the higher state tune comes with 6-speed manual and AMT option. The diesel engine variant with manual gearbox trim comes with all wheel drive system. The company has a manufacturing plant at Chennai from where it rolls out its lineup for India. 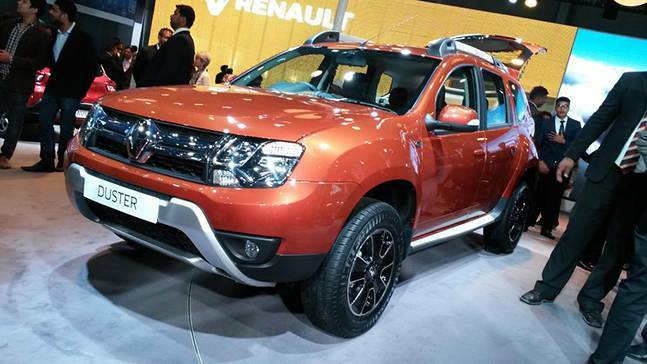 The Duster was first launched in India in 2012 making it one of the first compact SUV to be launched. It becomes a huge success within few years of its launch. Apart from the Hyundai Creta, its other rivals are Maruti S Cross and Vitara Brezza at present. As a result of stiff competition from these rivals, Renault Duster has witnessed decline in its sales in last couple of years. 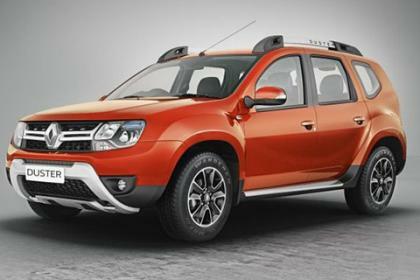 The price cut is expected to help the company now to lift Renault Duster’s share in the Indian market. Renault Duster Petrol Automatic Launched @ Rs. 10.32 lakh!